Tuesday was the home opener for the Predators, and they celebrated their 2017–18 season, as they had every reason to; they were good as hell last year, despite falling in the second round to the also-good-as-hell Jets. So they raised some banners. Two of them, perfectly fine banners. One of them, not. The Western Conference champions last year were, of course, the Vegas Golden Knights. You are not misremembering. They got the Campbell Bowl and got to play in the Stanley Cup Final and everything. There are photos. The regular season Western Conference championship is not a thing. 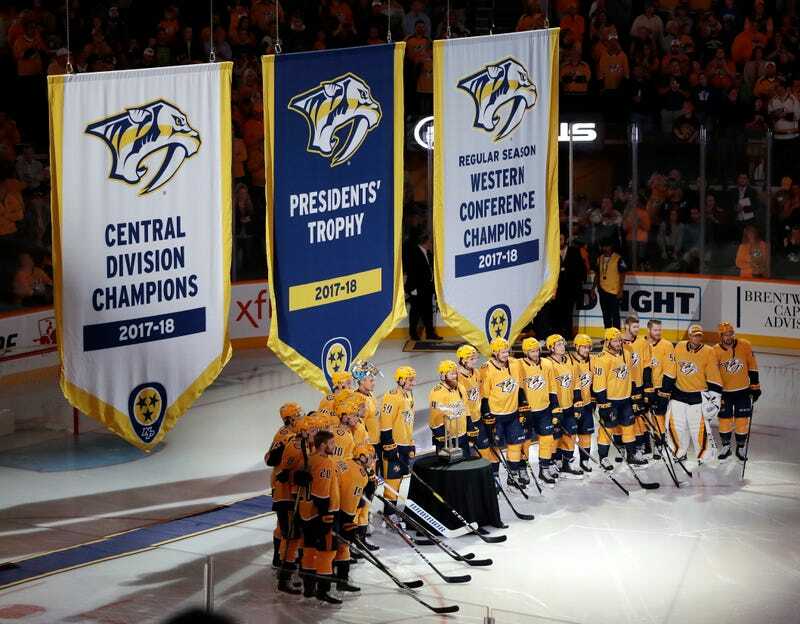 It means, in this case, that the Preds were the West’s 1-seed in the playoffs, because they had the best record in the conference...an accomplishment made entirely redundant by the neighboring banner, which notes that they had the best record in the entirety of the NHL. This is not the most embarrassing banner in sports—the Colts hold that title, and will probably raise a second banner to celebrate the fact. But it’s certainly up there with the worst in hockey, alongside such luminaries as the Oilers’ banner for Greatest Team (as voted on by fans), the Oilers’ banner for 100 consecutive sellouts, and the Oilers’ banner for Garth Brooks. The Predators fell 3-0 to the Flames in the ensuing game. 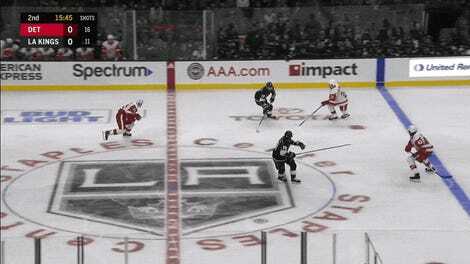 That’s going to make it that much harder to repeat as regular season Western Conference champions.